If Democrats believe in something other than sheer raw power you’d be hard pressed to figure out what it is. Their vacillation on most everything is more indicative of pragmatism than ideology. I remember when their battle cry for abortion was “safe, legal and rare” – now they’re on board with “late-term abortion” and infanticide. Should you ever need a quintessential definition of “slippery slope” this is it. the political equivalent of vocal fry valley girls. Racism – Need I say anything other than “Jim Crow South?” Go back a bit further than that and there was the issue of the Democrats’ rejection of the 13th, 14th and 15th amendments, as well as the 1957 Civil Rights Act. And don’t forget the venerable Dem Senator, Robert Byrd, who filibustered the Civil Rights Act of 1964 with the full-throated support of Democrat icon Senator Strom Thurmond. But they’re against racism now, as it would not be politically expedient to be for it. Iraq war – Many of the Democrat critics of the war voted to authorize it - before it became politically expedient to oppose it (including John Kerry and Hillary Clinton, to name two Democratic presidential nominees). The Patriot Act – Democrats go back and forth on this one regularly depending on who’s in power and how they can use it to their advantage, but they mostly voted against it when Bush’s administration proposed it. But they’re pretty much all in when political expediency dictates it can be used to take down their arch enemy (Trump). The Wall, and illegal immigration – the Dems support for the wall and opposition to illegal immigration received at least nominal support before Donald Trump made it his central theme and before Madam Pelosi forbade them to support such positions. Now, like their party’s history of racial discrimination, it is completely forgotten in the re-writing of history. Jobs, and rising wages. I always thought Dems were for jobs and higher wages until Tuesday night when PDJT announced the creation of 2.4 million new jobs and the end of stagnant wages. And you would think announcing the lowest black unemployment ever would at least get the Black Caucus on their feet. But no, it wasn’t politically expedient to celebrate such a milestone. Other things that Democrats once supported but are now no longer politically expedient include the First Amendment (must ban “hate speech!”), the Second Amendment (must “control” guns!) and the Electoral College (must have “one man, one vote” democracy!). I actually have no proof that they were ever really supportive of the Constitution as they seem to be at constant war with the very federalism that the Framers hardwired into the Constitution. The Electoral College is just one example of the measures the Founding Fathers used to dilute democracy and preserve the individual states’ power. The Senate structure of 2 representatives per state regardless of size ins the most prominent. 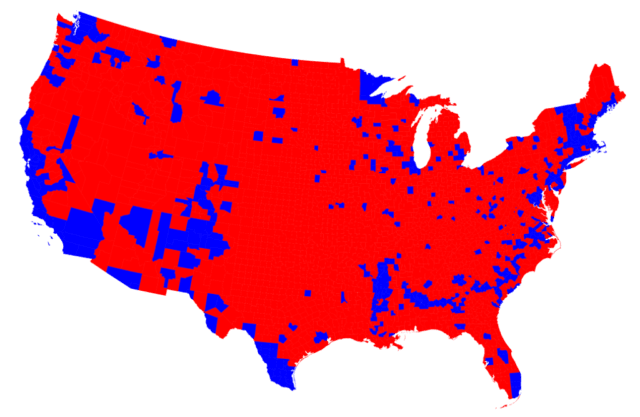 Perhaps now would be a good time to remind Democrats that of the 3141 counties in America 3084 voted for Trump. 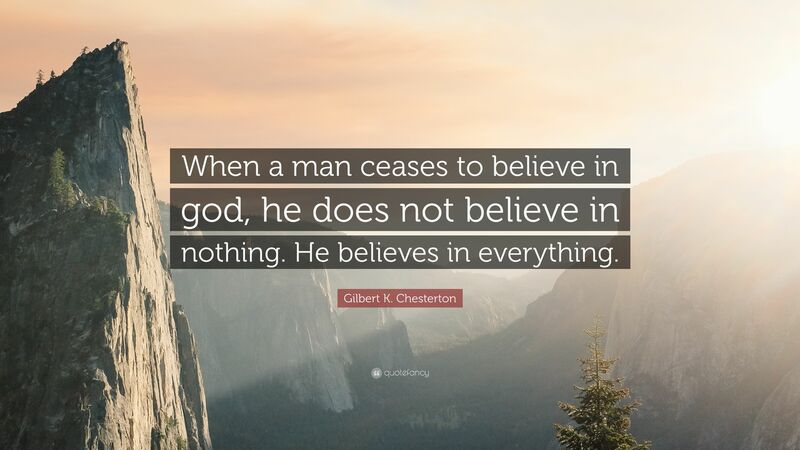 Democrats: they believe in nothing which means everyone else must sacrifice everything. Which is a pretty good definition of nihilism.